With the recent news that David Harbour (Stranger Things) is in talks to become the next Hellboy, I was hit with the same reaction I think many other fans of the first two films (starring Ron Perlman) felt; shock and disappointment. This news marked the official death of actually ending the beautiful story and world that director Guillermo del Toro (Pan's Labyrinth) had created. If the rumors are true, then it's up to Neil Marshall (The Descent) to return us to the world of Hellboy. I decided to take this news to revisit Hellboy and Hellboy 2: The Golden Army and give you guys a review. Let's look back to 2004, a year that some would argue is one of the best years ever for comic book films. In the summer, Spider-Man 2 was a smash hit sequel that the critics and audiences loved (93% RT & $783 million BO). In the fall, Pixar would give the world The Incredibles (97% RT & $633 million BO), a film some call the best Fantastic 4 movie we've ever seen. But before those films made all the money and gained all the praise, Hellboy came out in the spring to a mild response (81% RT & $99.3 million BO). The reason I bring up the numbers is after revisiting the films I can confidently say I believe Hellboy to be the best CB film to come out of that year. A simple but brilliant way to give us the origins of our red hero in the opening scene that took us back to WW2. We are thrown into the weird and wonderful world of Hellboy with FBI agent John Myers (Rupert Evans) as our eyes on the inside. His wonderful friends and family Abe Sapien, Liz Sherman, and Trevor Bruttenholm provide Hellboy a great supporting cast. Hell, pulling from a real life villain, Rasputin is someone that is easy to hate. We witness Hellboy trying to find his place in our world as a protector from what bumps in the night. From the amazing practical effects, beautiful makeup, fantastic performances and a simple but effective story, Hellboy holds up so much better then I ever expected. I can understand why at the time Spider-Man 2 and The Incredibles did better. One was a sequel to one of the most popular super heroes in the world and the other is family friendly. Just the name Hellboy is going to keep people away. Hell, I wasn't able to see it in theaters because my mom thought it was some evil stuff. What blows my mind is that people seem to forget about Hellboy when they talk about the best comic book films, but you will see people bring up the other 2 big hits from 2004. Spider-Man 2, while fantastic, has some glaring weaknesses from the dated effects and lack luster performances from secondary characters. The Incredibles is a great piece of animation but lacks originality. Del Toro really delivers something fresh and interesting that really could have been a standalone film but yet we are given a return in 2008 with The Golden Army. Wow what a time it was to be alive in 2008 if you loved CBMs. You had the release of Iron Man, The Dark Knight, The Incredible Hulk and Hellboy 2: The Golden Army. I would argue that was the best year for CBM's. Between Iron Man coming to the screens, a fine Hulk movie and the awesomeness that was The Dark Knight. Drop into that year del Toro and Perlman came back to give us a great sequel that give us a bigger and better film in The Golden Army. How is this sequel better? It has a very personal feeling in the film. From the relationship struggles with Hellboy and Liz. To Abe wanting someone of his own and to be apart of something. Hell, the villain of the movie, Prince Nuada, is bad but you understand why. He's not like Rasputin who's just evil and the servant of a giant tentacle monster. Nuada's people have been screwed over by humanity. The effects and makeup once again are fantastic, out of this world awesome. The fights are more dynamic and fun. What hurts this movie is the blatant set up for a trilogy. The best thing about the first Hellboy is it really can stand on it's own. Hellboy 2's ending clearly sets up for a sequel that del Toro had to know was on rocky grounds. Let's get to the complicated part of my love of this pair of films. I love the world that del Toro created. It's a piece of fantastic cinema. The performances are great from the entire cast between both films. 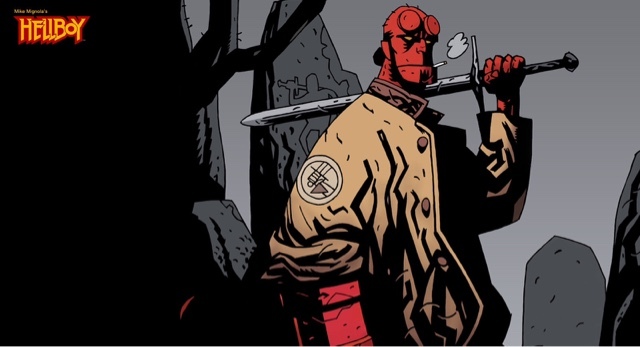 I would love to see a third part to make this a trilogy but Hollywood is a business and Hellboy is a franchise that has failed to be a financial success. The first film cost $66 million to make but only made $99.3 million; if the studio decided to end it there it would have been totally understandable. They gave del Toro a shot at a sequel, which cost $85 million to make and earned $160 million. Once again not a lose, but by no means a success. And the rumor around the potential third film is that del Toro asked for $200 MILLION (!!!) to bring it to the screen. That is a huge figure and is a huge risk for any studio for a franchise that hasn't brought in money. Del Toro knows the industry and should have been willing to make adjustments. He made an amazing film for 85 million in the Golden Army. I really think if he wanted to make a third Hellboy he could have came up with a lower budget. So that's why I'm excited for the possible reboot. Let's see what Neil Marshall can deliver. Let's talk about what I'd like to see. Let's get a world that is more from the Hellboy comics. Del Toro's Hellboy is a del Toro world not a Hellboy world. The rumored story is a fight against a "God of War" witch. Yes please! Please, no motion capture. Real effects and real make up. David Harbour gives his own voice. Please don't try to recreate Perlman, his voice is legendary. I want more from Abe, let's see him be on a partner level with Hellboy. Last thing. No romance, if the witch tries to seduce Hellboy I'm down, but Hellboy doesn't need a romance yet. Thanks for giving me your time and reading my thoughts on Hellboy. Please let me know what you want to see from the reboot or tell me why I may or may not be wrong. I want to hear what you have to say.